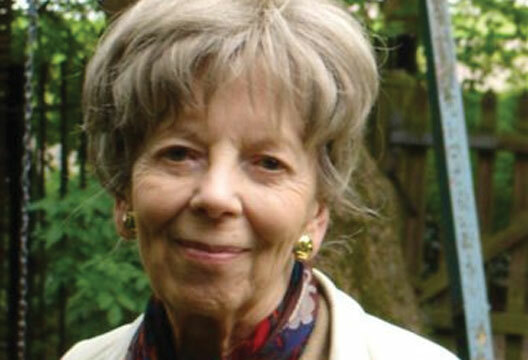 Barbara Tizard, who has died aged 88, was an eminent developmental psychologist, a Fellow of the British Academy and of the British Psychological Society. In her memoir Home Is Where One Starts From (2010) she explained that her research was driven by important theoretical questions and the desire to challenge ‘widely held beliefs or theories bearing on childcare or education which…were held dogmatically without adequate evidence’ and to ‘work for human betterment’. One of Barbara’s projects, published as Early Childhood Education (1975), questioned the early theories of John Bowlby that deprivation of maternal care in the first two years led to ‘affectionless psychopathy’. The study followed two-year-olds in residential nurseries until 16 years, comparing those who were adopted with those who were not. Results showed that children spending their first two years in residential nurseries, with little or no parental contact, did not usually grow up affectionless or even disturbed. In the 1980s Barbara was part of an international group of child psychologists and psychiatrists opposed to nuclear weapons and convinced that children would be damaged by the nuclear threat. Her research found this was not the case. Another of her concerns was with racialisation. She published a paper in Nature in the 1970s showing that there were no differences in the IQs of black and white pre-school children. In the 1980s she directed a longitudinal study of black and white children at infant school (Young Children at School in the Inner City, 1988), and in the 1990s a study of black, white and mixed parentage pupils in London schools (Black, White or Mixed Race?, 1993). After retirement Barbara researched retired academics and found that most suffered a marked loss of status on retirement. Barbara’s achievements were remarkable. She embarked on her research career in what she describes as the fiercely competitive, critical, yet very stimulating atmosphere of the Maudsley Hospital, Institute of Psychiatry, while raising a young family during a period when there was little sharing of domestic responsibilities and little help from employers or the state. She worked in a series of part-time positions until she was 50, when she finally achieved a senior academic position (Reader in Education at the Institute of Education, later Professor) and, following Jack Tizard’s death in 1979, became Director of the Thomas Coram Research Unit (1980–90). Editor's note: Read Barbara's article for us, on the work of John Bowlby, along with a review of her memoir.